Maybe we really will see some changes around here. Particularly in some of LA County’s less advantaged communities. 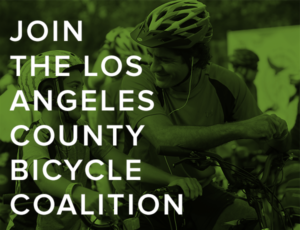 Richard Parks forwards news that the California Transportation Commission has recommended funding a number of active transportation projects in LA County. Topping the list from his perspective is a much needed and hard fought effort to transform Jefferson Blvd into a Complete Street. The California Transportation Commission has recommended $6 million in funding to make Jefferson Blvd. from Vermont Ave. west to Western Ave. a complete street. The plan calls for protected and buffered bike lanes, pedestrian lighting, sidewalk repairs, street trees and more. This project will link to USC’s Jefferson Blvd. Streetscape Plan which intersects with the MyFigueroa project. The CTC will ratify staff recommendations in December. LA’s own pro cyclist Phil Gaimon calls it a career after failing to find a WorldTour ride for next season. He says don’t call it retirement, though, in a great self-penned piece that reflects the struggles of most pro cyclists; meanwhile, his Malibu Gran Cookie Dough this Sunday will become his semi-official non-retirement party. On the other hand, British pro Bradley Wiggins considers un-retiring. And a 25-year old Spanish cyclist gets a four year ban for doping with a drug he denies ever taking. Venice Blvd now officially belongs to Los Angeles instead of being under the control of Caltrans, after the state pays LA to take it off their hands. Metro is asking for input on the coming LAX Connector Line, which includes plans for a bike hub to make it easier to ride to the airport. 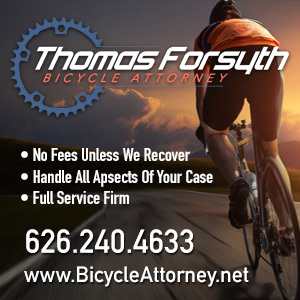 An unidentified bike rider was hospitalized with traumatic injuries after he or she was hit by a Garden Grove police officer. Thanks to Steve Herbert for the heads-up. A Redlands thief plays Mission Impossible by lowering himself through the roof to steal $200 from a bike shop. It’s been a rough few days in Fresno; just two days after a bike rider was killed in a collision, another rider suffered life-threatening injuries yesterday. 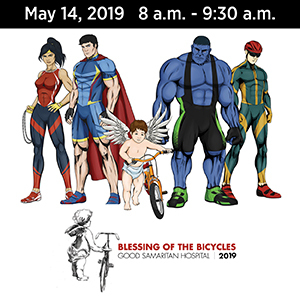 San Jose church members assemble 60 bicycles to donate to local children. Palo Alto considers budget options for a new bike bridge after rejecting a previous design that came in over budget. A Santa Rosa letter writer says the anti-bike residents along a local roadway remind him of Deliverance. Streetsblog looks at why American trucks are so deadly for bicyclists and pedestrians, after London takes steps to ban dangerous trucks from the roads. An Oregon TV station asks if it’s time to put bike lanes on a key bridge after a bike rider was killed by a driver with 31 previous traffic convictions. Bike lanes would be a good idea; keeping demonstrably dangerous drivers off the roads would be better. Authorities say they know who sabotaged a Colorado bike trail, however, no charges have been filed yet in what the BLM calls an isolated incident. Texas residents worry about property values plummeting if a proposed bike lane gets built. Never mind that bikeways have consistently been shown to increase property values. A DC bicyclist dodged a bullet — literally — when a road raging driver took a shot at him; his rear bike tire wasn’t so lucky. I want to be like her when I grow up. A 90-year old Florida woman consistently holds her own on a 31-mile weekly group ride. Riding a bicycle just five minutes a day can cut your risk of early death from heart disease. But it won’t get you very far. Bicycle Times offers a guide to buying a bicycle. Bike Radar recommends five bike action cams they like, all of which just happen to be made by GoPro or Garmin. Who couldn’t use a few tips on dating a female competitive cyclist? Anti-bike terrorists strike again, this time strewing tacks on an Ottawa bike lane. Bodyguards ban British Foreign Secretary and former London Mayor Boris Johnson from bicycling over fears that riding a bike would make him a target. Just like it does the rest of us. China’s maintenance-free, dock-less Mobike bikeshare system is expanding to Singapore, which appears to have won that skirmish in China’s bikeshare startup battle. 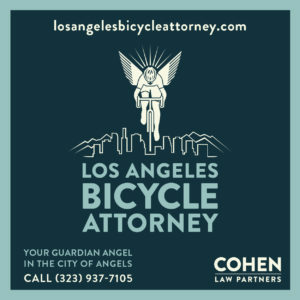 Do Angelenos fear Scientology’s bike-riding security guards because they’re Scientologists, or because they’re on bicycles? Your next racing kit could have as much coffee inside as you do. And it’s not unusual for a drunk driver to flee from the cops after nearly hitting a bike rider. Except when the driver is just 12-years old.